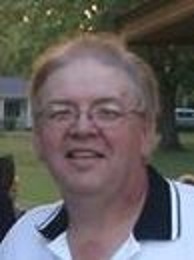 LEDFORD, James W. – of St. Charles, age 62, died Thursday, January 10, 2019 at McLaren of Flint. Jim was born April 24, 1956 in Saginaw and was a son to Frank and Mary (Bueche) Hayes. He was a resident of St. Charles most of his life. He was united in marriage to Sharon Mose on May 14, 1983. Mr. Ledford retired in 2006 from Buick City with 31 years seniority. He was a member of Easton Church of Christ, the UAW Local #599, Chesaning Conservation Club and the Pintown and St. Charles Bowling leagues. Jim enjoyed fishing, going up north to the cabin and working on cars. Surviving are: wife, Sharon; daughter, Shelby Ledford of Chesaning; fur baby, Butterball; siblings: Linda Hopkins, Patty Kline (companion Tom) of Swartz Creek, Julie (Russ) Rombach of Montrose; mother and father-in-law Bernard and Donna Mose; sister-in-law Carol Mose; brother-in-law Bill and Kathy Mose; several nieces and nephews. He was preceded in death by: brother Paul Ledford; and a sister Diane Ledford. A memorial service will be held at 11 a.m. on Saturday January 26, 2019 at the Easton Church of Christ, 3477 Easton Rd., Owosso, MI 48867. Terry Strickler officiating. The family will receive friends at the church on Saturday from 10 a.m. until time of services at 11 a.m. Cremation has taken place. In lieu of flowers, contributions may be made to the family. You may light a memorial candle or share a condolence at misiukfuneralhome.com.